Are you struggling to find the time and program to finally complete college? Sierra Nevada College Online Adult Degree Completion Program is ideal for working professionals who want to advance in their professions or start new careers. This program provides adult learners the flexibility to take classes and complete coursework anytime and anywhere. 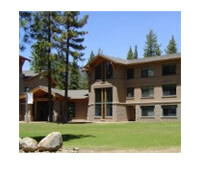 Founded in 1969, Sierra Nevada College is a private, accredited, not-for-profit liberal arts college offering online degree and campus-based degrees in Lake Tahoe, Reno, and Las Vegas. Entrepreneur magazine listed SNC among the top 50 regionally recognized academic programs in the nation. Do you need the flexibility of an online program to complete a degree at your own convenience? Do you have hard-earned college credits you would like to apply to your degree requirements? Are you looking for a high quality, affordable college degree option? Founded in 1969, Sierra Nevada College (SNC) is a private, accredited, not-for-profit liberal arts college offering online degree and campus-based programs in Lake Tahoe, Reno, and Las Vegas. At SNC, online students are part of the larger learning community and benefit from access to support and services associated with SNC, its traditions and reputation. SNC's online education is designed for students who want the quality and excellence of a traditional campus program combined with the flexibility of online learning. 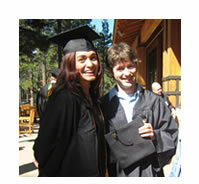 Why Join Sierra Nevada College Online Adult Degree Completion Program? High Quality, Engaging Curriculum — Our courses capture and maintain students' interest with integrated multimedia components, real-life applications, and collaboration tools such as online discussion forums, blogs and wikis, to enhance learning and facilitate teamwork. Experienced Faculty — Improve your knowledge with courses designed by the same experienced faculty who teach SNC's on-campus classes. Maximize Credit — Transfer hard-earned credits from accredited colleges and apply them toward your four-year degree. Additionally, you may be able to receive academic credit for military experience or other certifications you have earned. Financial Aid — Apply for help based on financial need or defer tuition using your employer's reimbursement benefits, to reduce your financial burden. Federal Student Aid available to those who qualify. Student Support — Receive support in enrolling, selecting courses, and completing coursework from SNC's dedicated staff. Alumni Programs — Join the ranks of SNC graduates and access all the benefits of alumni: mentoring, career development, and a broad social network to help you navigate your future. Offering quality curriculum, experienced faculty, and small class sizes, SNC's Online Adult Degree Completion Program is ideal for working professionals who recognize the difference a degree can make in their lives, and recognize the difference SNC brings to the degree completion process. Sierra Nevada College online has helped thousands of students attain college degrees. Let us help you earn your degree, too. Simply request more information and an enrollment counselor will be in touch with you soon. Sierra Nevada College is accredited by the Northwest Commission on Colleges and Universities (8060 165th Avenue, NE, Suite 100, Redmond, WA 98052; (425) 558-4224; www.nwccu.org).